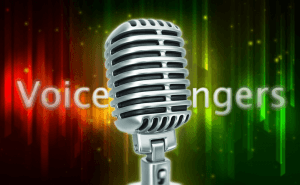 AV Voice Changer Software DIAMOND is a program for changing your voice in real time. This tool includes various effects developing different tones of the voice, such as surprise, happiness, languor, rage, etc. This software enables you to record your voice, analyze the quality and compare it with other voices. Then you can add different effects to the recording, change female voice to, for example, male or nonhuman. You can also create a nickvoice, which represents a unique combination of voice properties with the help of a number of voice modifying functions - voice analyzer, parody mixer, voice comparator, music morpher, voice recorder, background effects. The majority of sound effects and unusual sounds are available for free download at the developer's homepage. The useful function of this software is its ability to record the original or changed sound from different sources, like music, phone conversations, live broadcasts etc. The program supports such formats as mp3, mp2, wma, wav, ogg, au, aif, ape, nist, irc. To sum it all up, AV Voice Changer Software DIAMOND is an amusing tool with vivid effects serving such purposes as voice messages, presentations, online greeting and animated cards, voiceover, making audio- and video clips etc.